Rev John Livingstone (born 1603) was the minister of Ancrum parish from 1648. He was outed from the church in 1662 and he was banished to Holland, where he died in Rotterdam on 9 August 1672. 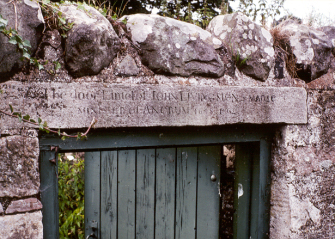 Built into the manse garden wall is a carved stone naming John Livingstone and the dates of his time in Ancrum - 1648-1662.